It is believed that Citrine will help you become more radiant and have a more optimistic attitude, making you look forward to the future with hope and positivity. Citrine is said to encourage you to live a little and to go with the flow. They can bring inner peace and wisdom, and stimulate your intellectual activities. 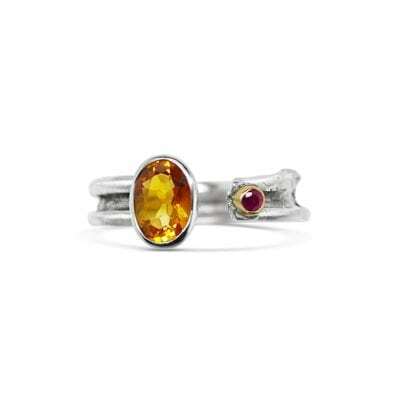 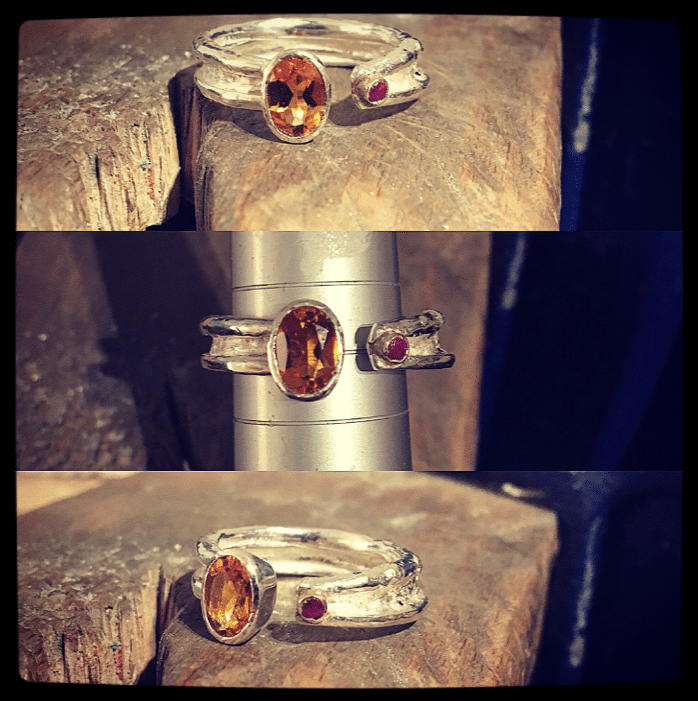 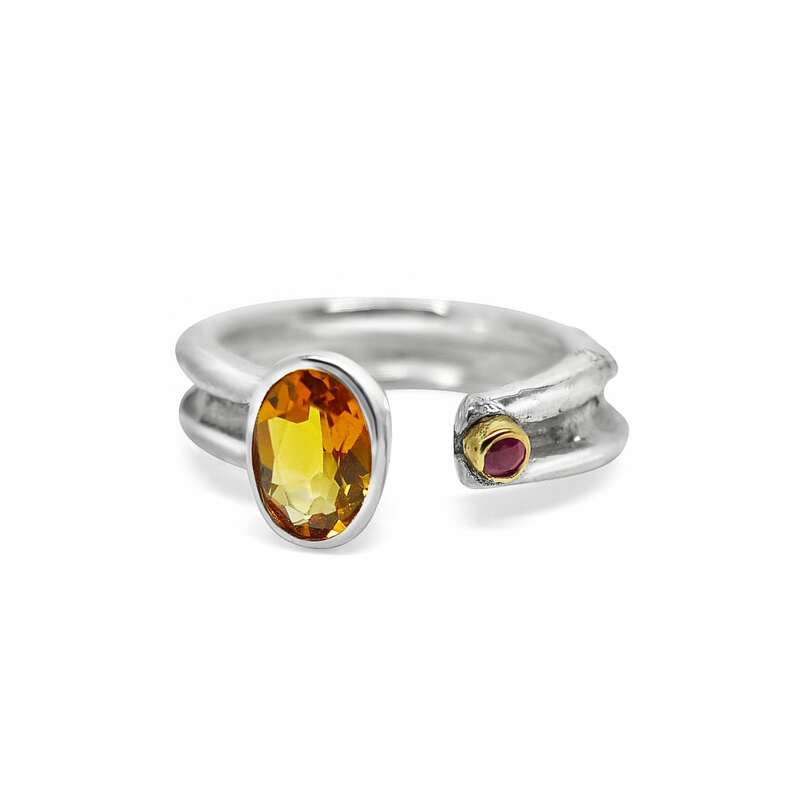 This Citrine and Ruby ring has been hand-forged from silver, giving it a thick, rustic and organic finish. 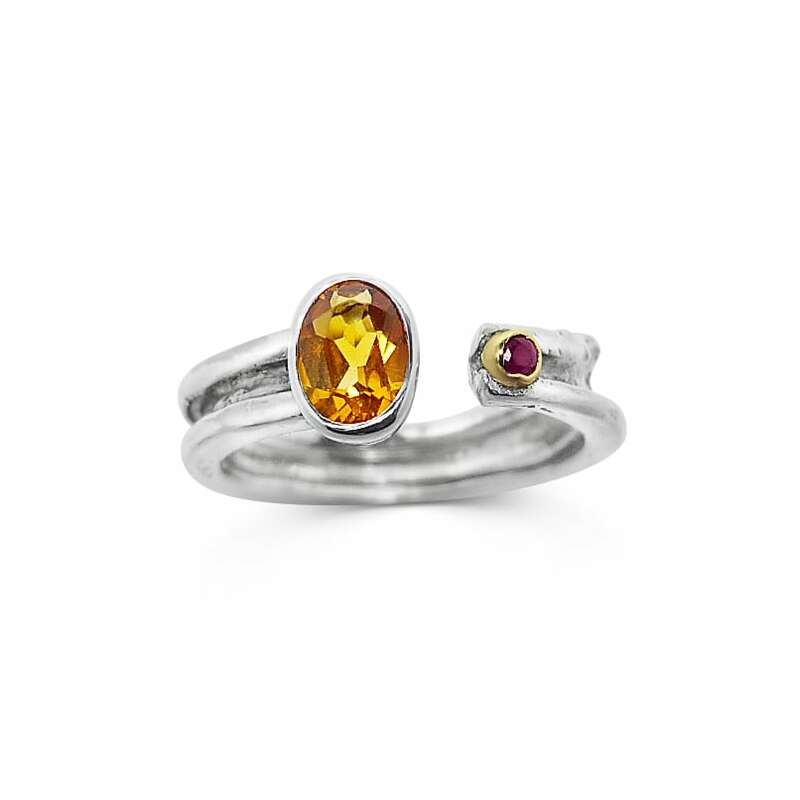 The rough cut ruby is set in 9ct yellow gold.